Montage has been hailed as one of the key structural principles of modernity, yet its importance to the history of modern architecture and urbanism has not been adequately explored. This presentation, derived from the newly-published Graham-funded book by the same title, introduces key concepts that chart the history of montage in late-nineteenth-century urban and architectural contexts, its application by the early twentieth-century avant-gardes, and its eventual appropriation in the postmodern period. Focusing on a specific case study, the talk demonstrates the centrality of montage in modern explorations of space and in conceiving and representing the contemporary city. After the talk join us for a reception celebrating the publication of Montage and the Metropolis: Architecture, Modernity, and the Representation of Space (Yale University Press, 2018). Martino Stierli is The Philip Johnson Chief Curator of Architecture and Design at The Museum of Modern Art, a role he assumed in March 2015. Martino oversees the wide-ranging program of special exhibitions, installations, and acquisitions of the Department of Architecture and Design. His exhibition Toward a Concrete Utopia: Architecture in Yugoslavia, 1948–1980 is currently on view at MoMA. In 2016, he cocurated, with Ann Temkin, the exhibition From the Collection: 1960–1969. Previously, he held a SNSF Professorship at the University of Zürich. Stierli is the author of Las Vegas in the Rearview Mirror: The City in Theory, Photography, and Film (Getty Research Institute, 2013) and coeditor of Participation in Art and Architecture (I. B. Tauris, 2016). He is the cocurator of the international traveling exhibition Las Vegas Studio: Images from the Archives of Robert Venturi and Denise Scott Brown. His scholarship has been recognized with a number of prizes and awards, among them the ETH Medal of Distinction and the Theodor Fischer Prize from the Zentralinstitut für Kunstgeschichte, Munich (2008). In 2012, he was a fellow at the Getty Research Institute in Los Angeles.He holds a PhD from ETH Zürich. 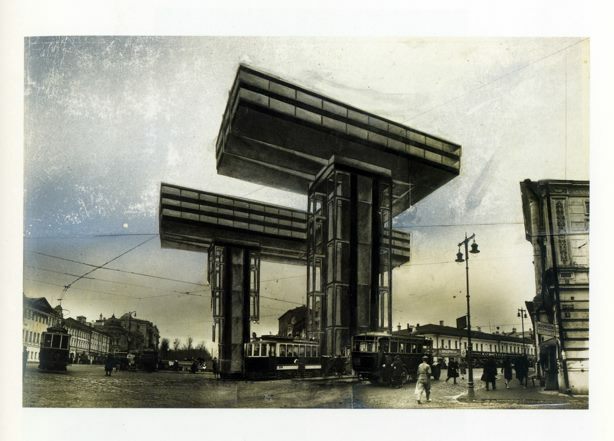 Image: El Lissitzky, Wolkenbügel, 1924-25. Photomontage. Courtesy of the Russian State Archive for Literature and Art, Moscow.